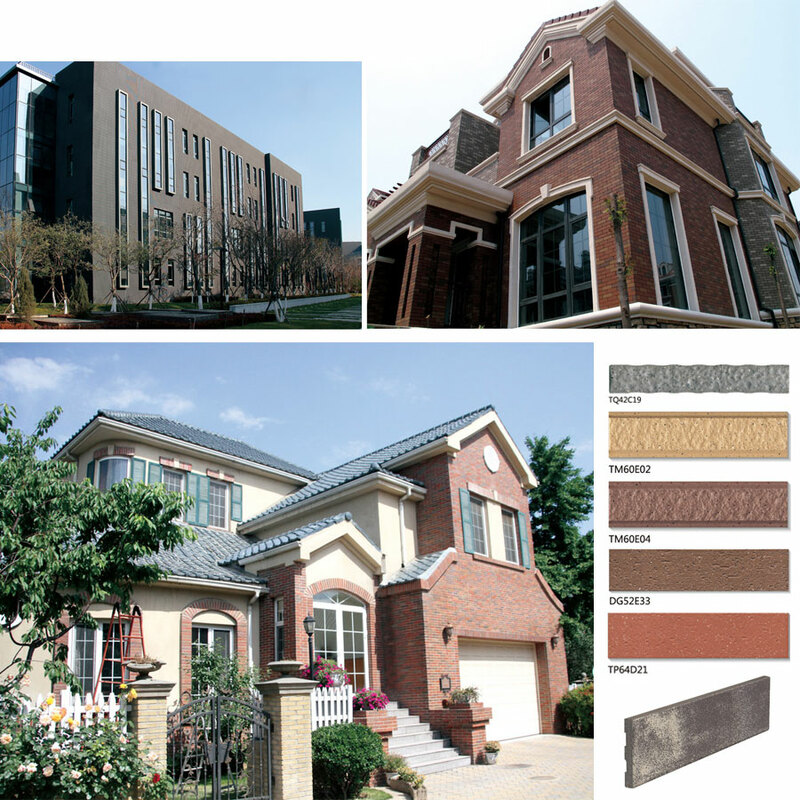 Product categories of Clinker Exterior Tile, we are specialized manufacturers from China, Clinker Porcelain Brick, Clinker Wall Tile suppliers/factory, wholesale high-quality products of Clinker Exterior Tile R & D and manufacturing, we have the perfect after-sales service and technical support. Look forward to your cooperation! The clinker exterior tile surface is unglazed, the front and the opposite are the same in color and material. The surface of the clinker wall tile is slightly rough. This special appearance gives the clinker porcelain brick a retro style, and it will have an elegant and simple feeling when used outdoors. According to the tile surface shape, it is divided into plane, corrugated surface, split brick surface, stone surface, etc. 1. The rough surface of the clinker tile is very soft under the illumination of the light, it is not glare, and it will not cause light pollution to the surrounding environment. Split exterior tile are often used in some retro-style finishes, architectural exteriors or creative designs. 2. The small size exterior tile has very good wear resistance and anti-slip property. The particles on the surface are very fine, so the water absorption rate of the clinker wall tile is very low, and the anti-permeability and moisture resistance are very strong. 3. It has the characteristics of easy cleaning, good weather resistance, low maintenance cost and a long service life. 1. In order to prevent emptying and falling off, the base layer of the wall must be cleaned and splashed with water. 2. The clinker tile and the base body must be firmly adhered, free of hollow drums, no skew, cracks and other defects. The joints are densely packed, straight, wide and narrow, uniform in color, and the pattern is butted. 3. Pay attention to the joints and clean the surface after the joint material has hardened.